I know many of you live in areas where the cold forces you to spend extended time indoors. I have heard that you may feel a little crazy or may experience a little cabin fever. I honestly wouldn't know, as it is still 75+ degrees here in South Florida. However, we do have rainy days when I am looking for various things for Bennett to do in the house. 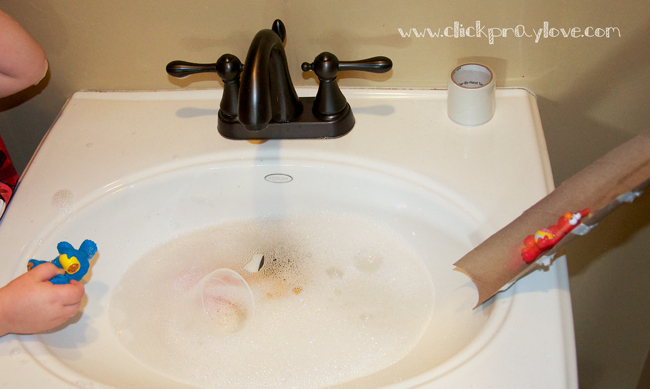 A few weeks ago, I decided to pretend play in the bathroom sink. We have Elmo, Cookie Monster, and Dinosaur Train plastic figurines that we used. 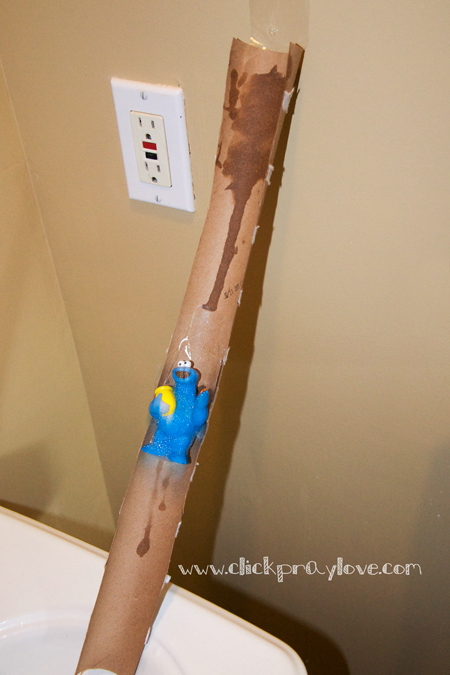 I also cut a paper towel roll in half, taped both sides together (to make it longer), and taped it to the wall to make a slide. We also used the cap from a container of laundry detergent and a plastic plate as a boat. Just use your imagination and many things could be incorporated into your play. Plastic stacking rings for inner tubes. Straws to blow bubbles. A few drops of food coloring to change the color of the water. What else could be used? We dive from the water faucet. We bathe them. We march around the "pool." We do back flips, front flips, and gainers. We swim under water. We float. We slide. Sorry Cookie looks funny. He was in full slide mode when I snapped this photo, as was Elmo in the photo below. Every day since we first played in the sink B has wanted to do the same. He walks into the bathroom at some point saying, "Wash hands," while climbing onto his stool. Wash hands is code for play in the sink. 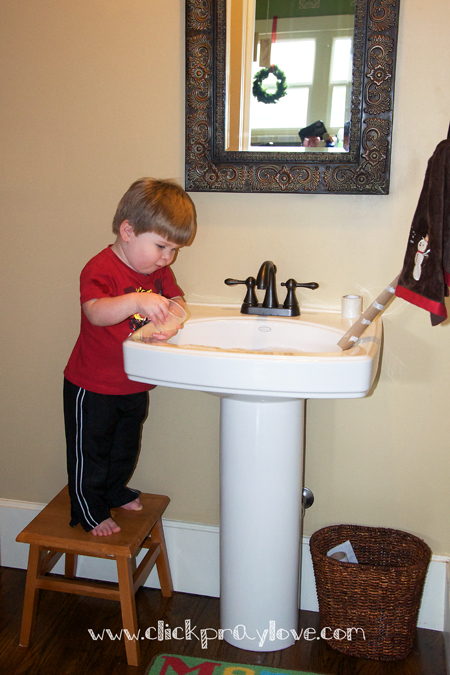 If you are looking for more indoor activities this winter, considering using your sink for play time. Tip #10: Think about ways you could incorporate the bathroom sink, the kitchen sink, and the bathtub for water fun this winter. It could lead to all kinds of pretend play. It's pouring, pouring here, and I have one sick toddler who has been interested in nothing. Maybe a little play time in the sink will change her mind! Have a wonderful Christmas. 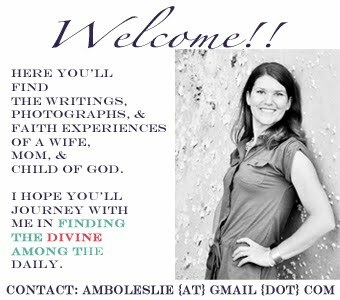 It's been fun getting to know you better through blogging! Just coming from your wonderful post on Branson's site. I love that you made a slide. I never thought to do that before, but I think my little guys would LOVE that. Maybe with my leftover wrapping rolls. Love this idea! A looooves to wash his hands, so I bet he would be all over this ;) He also loves to "wash dishes" in the kitchen sink. Love it. I know Jack would go crazy over the slide! That picture cracks me up. Fun fun! The only thing missing from your items needed list is a towel for the wet kid and/or floor! 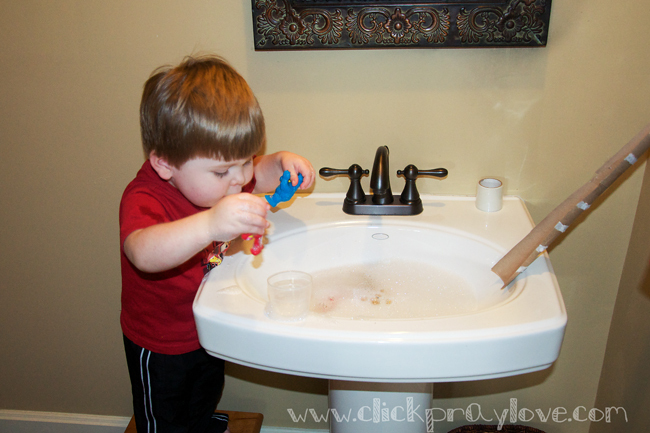 Our girls LOVE playing in the sink, washing dishes and giving baths to their dolls!